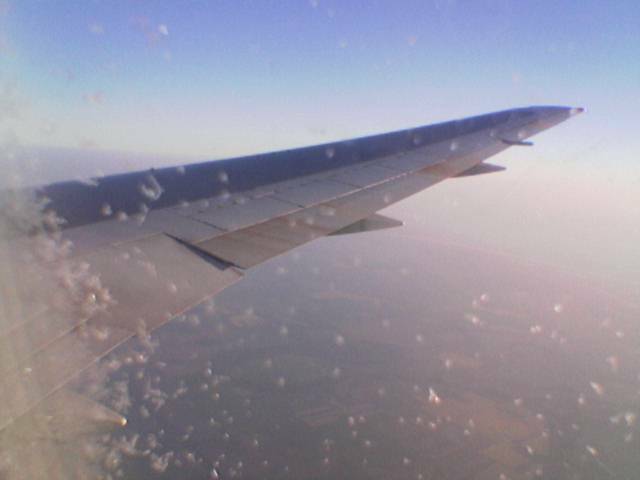 So thanks to this internship, I managed to fly (ofcouse without wings, but yes Jet wings). I came from Guwahati to New Delhi by flight. It is indeed magical to see that I can cover the distance of 2 days in 2 hrs. Also I take time adjust to different places. I mean while coming from guwahati to del, my mind and body does undergo a transformation of sorts ,I start thinking about home. Technically speaking values of my enviroment variable change!!! But this time 2 hrs passed in no time. But this journey was made even more memorable with the presence of my brother Sachin who was there with me all the time. Thanks to him, I was able to folow all the protocols involved. The flight crew looked like machines. I mean it was as if they were toys in which some instructions were fed. Even their smiles were artificial!!! But the food was good. I was feeeling some giddiness, or vomitting tendency, that I generally feel while travelling in bus. Mangla was making fun, by asking if I wanted to do it in a cantainer atached to the seat, which he said that was used for this purpose. As we were approaching New Delhi , things below started appearing quite clear. The buildings were all the same. Some kind of model view for a city. It was no different from google earth!!! And we finally landed on Indira Gandhi International Airport. My brother moved in one direction. I went in other direction . For 3 months. Posted on May 19, 2006 by rajeevgupta	• This entry was posted in AboutMe. Bookmark the permalink.